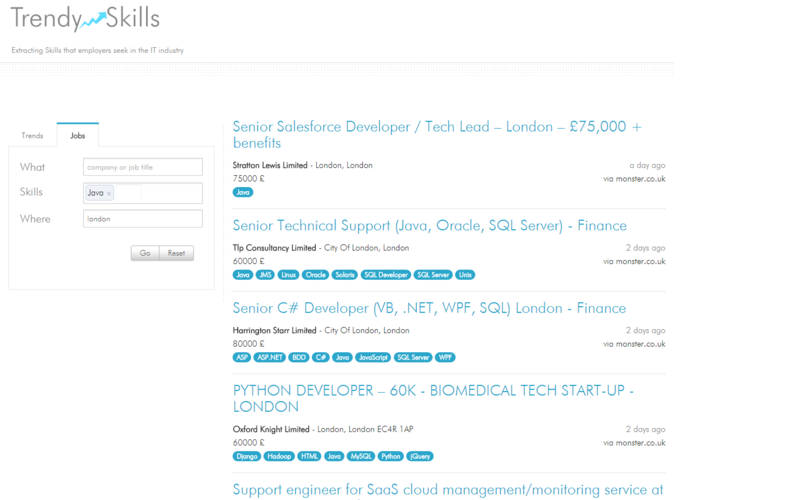 There is a nice new feature out this week, where you can view all the actual IT jobs and the skills that were extracted out of them. If you do not see your favorite job site listed in the results, please send it to us so we can add it to our scraping process. This entry was posted in News And Updates and tagged it jobs, it skills, programming jobs, software jobs on October 28, 2014 by Trendy Skills.